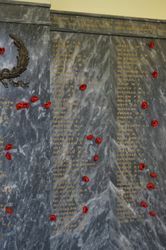 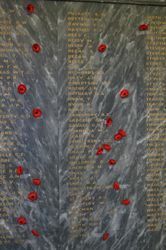 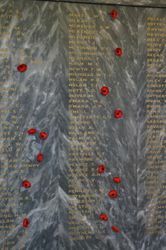 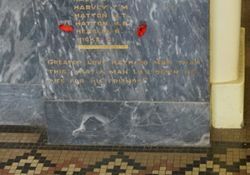 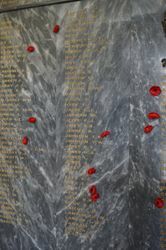 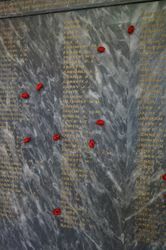 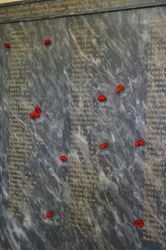 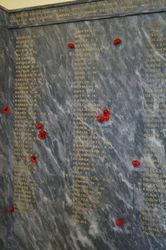 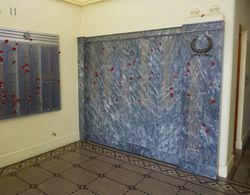 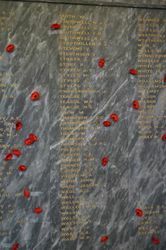 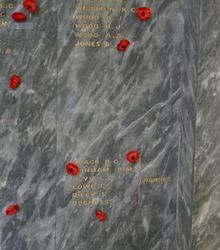 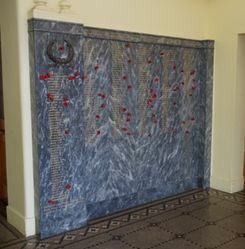 The Roll of Honour consists of two large matching grey and white-streaked marble plaques located on opposite sides of the foyer of the Soldiers' Memorial Hall commemorating those who served in World War One. 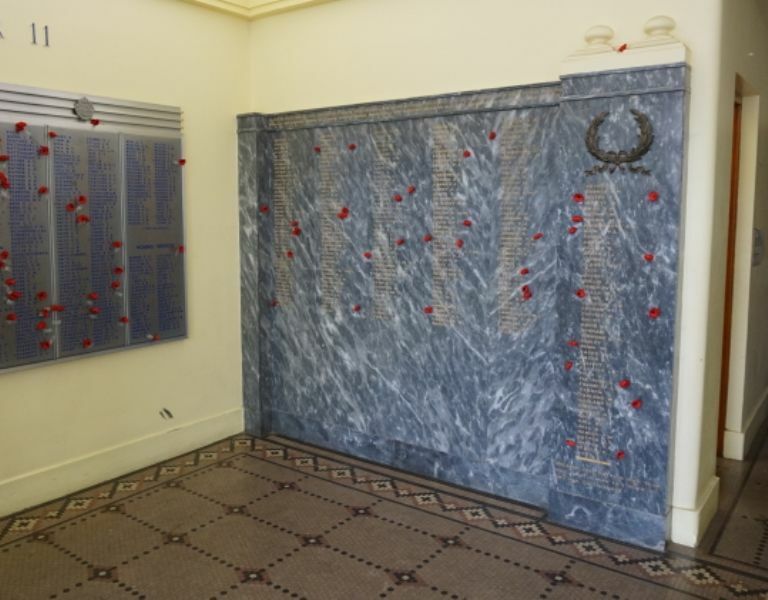 To honour those men of Yass and District whose self-sacrifice and heroic courage preserved for us the rights of a free people and held inviolate our glorious Empire, also those devoted women whose skill and sympathy helped to alleviate suffering in the Great War 1914 - 1918. 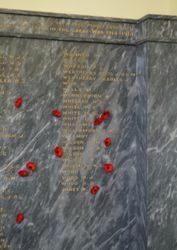 Greater love hath no man this this that a man lay down his life for his friends.